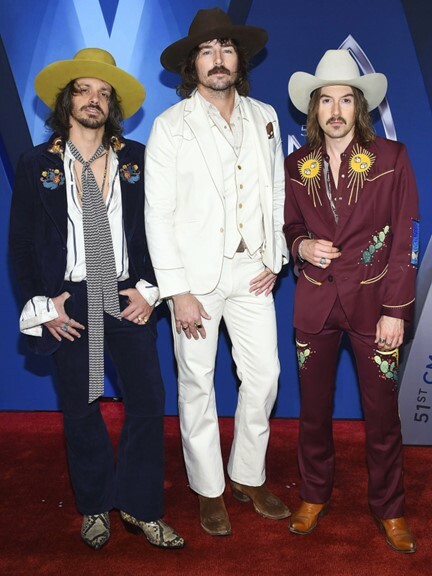 The glam was out in full force last night during the 2017 CMA Awards in Nashville! Enjoy reliving the glitzy fashion parade through this collection of photos. 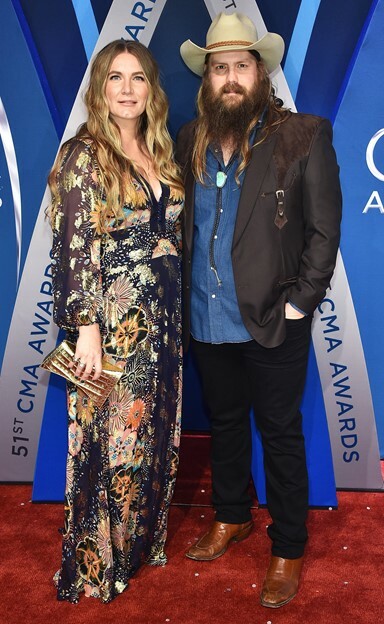 The 51st Annual CMA Awards touted unity and struck a fine balance between celebration and commemoration Wednesday night as Garth Brooks won ‘Entertainer of the Year’ for a record-extending sixth time while Chris Stapleton and Brothers Osborne took home two awards apiece. You can view the full list of last night’s victors here. 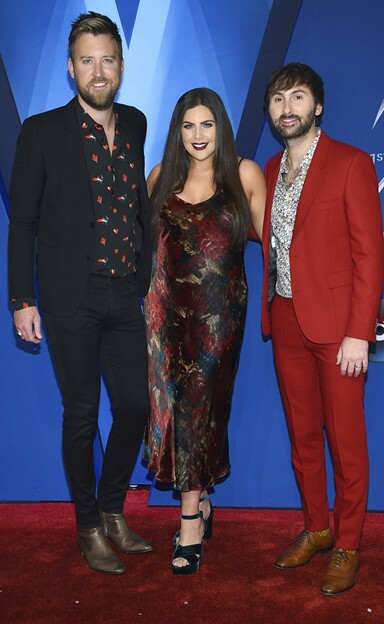 Aside from enjoying a plethora of performances and collaborations, the country music stars in attendance didn’t disappoint when it came to their personal style! 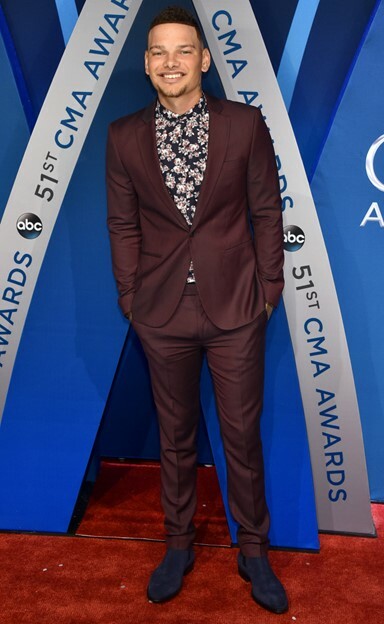 Check out the 2017 CMA Awards’ best looks below! Carrie was thrilled to bring Mike as her date this year! They look sooo good! 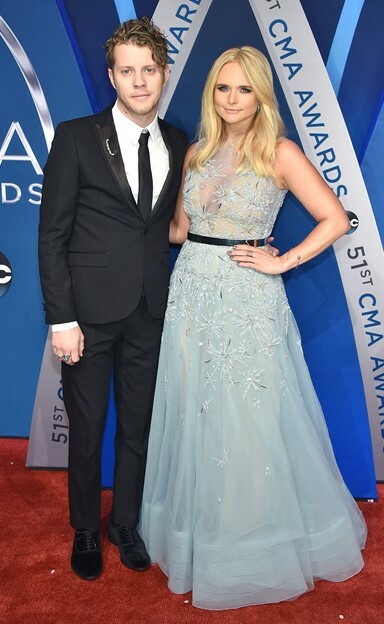 Luke is as handsome as ever and Caroline looks like a silver-clad goddess. Well done. Loving the feather detials on this playful dress! 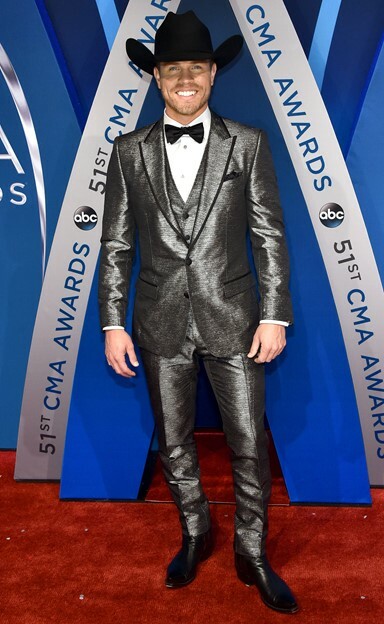 No boring black tuxedo for this cowboy— he went metallic! Morgane is pregnant with twins and super chic in this bold patterned gown! 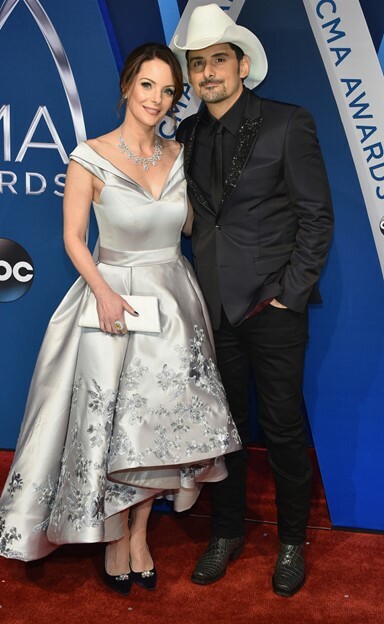 Getting strong Cinderella-Meets-Queen Elsa vibes from Miranda’s icy blue gown. Love it. Maren is daring and bold— this unique ensemble highlights her personality! It’s fitting that these two chose to wear this hue—- ‘black’ is the name of Dierks’ most recent album. John and TJ go vintage with these frocks! These guys are fun to watch. A trip inside their wardrobe would be a crazy experience! Kane always looks good! His smile is contagious. This shade of deep red is va-va-voom on Lauren! Kelsea is always a show-stopper! Gorgeous! She’s glowing! Love this color on her! These three look great in coordinating looks! 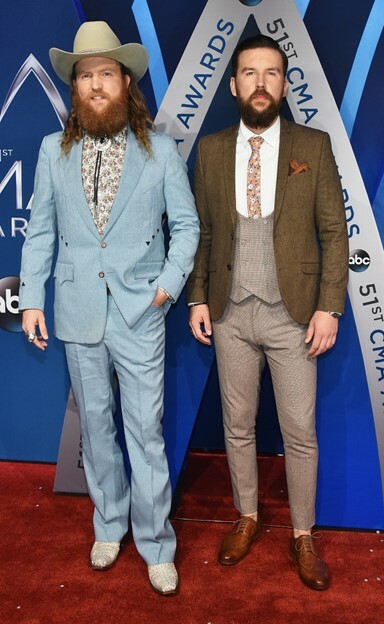 These two are country music royalty and look the part! Sheer is the name of the game! Keith flew solo this year and looked dashing! These two look so in love! What a cute couple. Alright, now that you have seen a ton of photos— do you have a favorite look of the night? 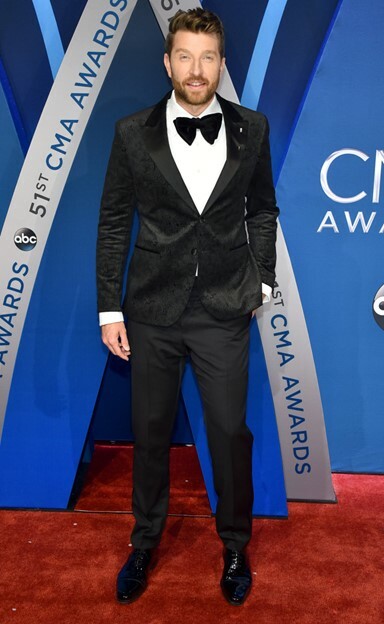 Share this with others who love fashion and view Country Fancast’s complete 2017 CMA Awards coverage here!